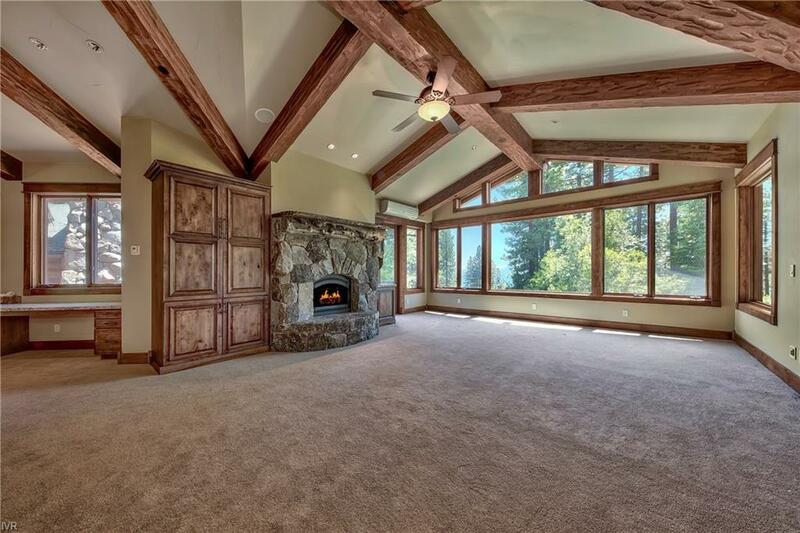 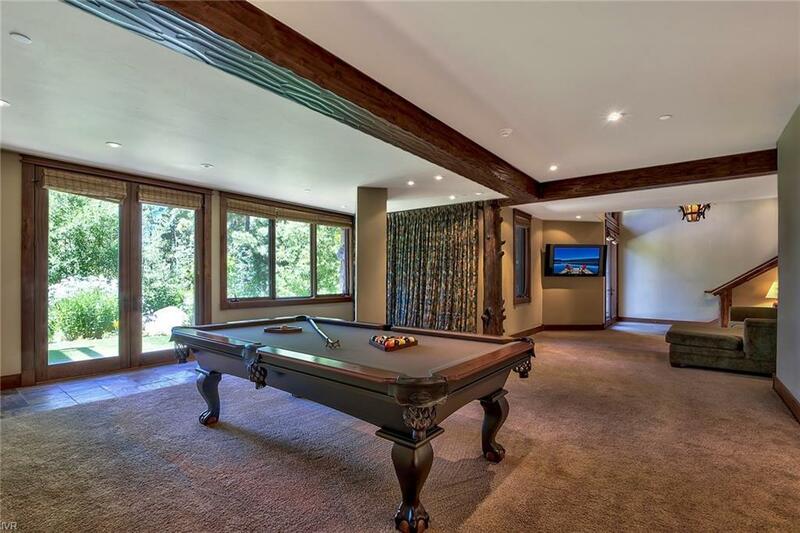 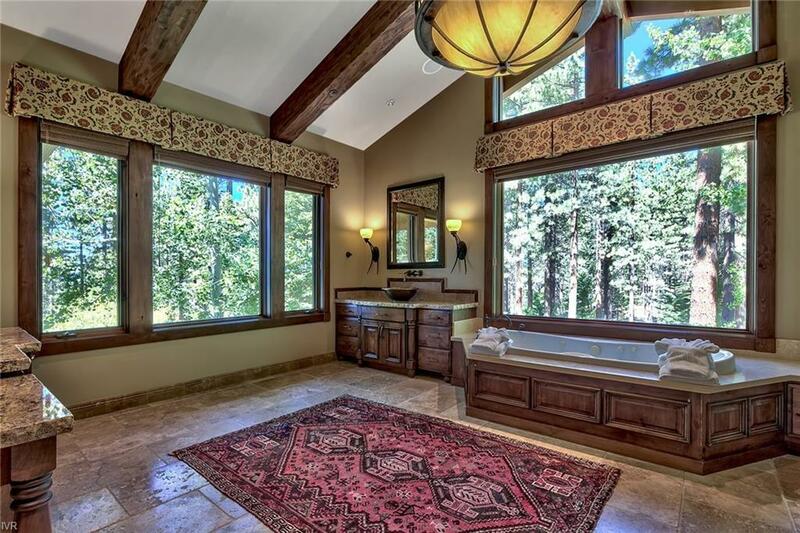 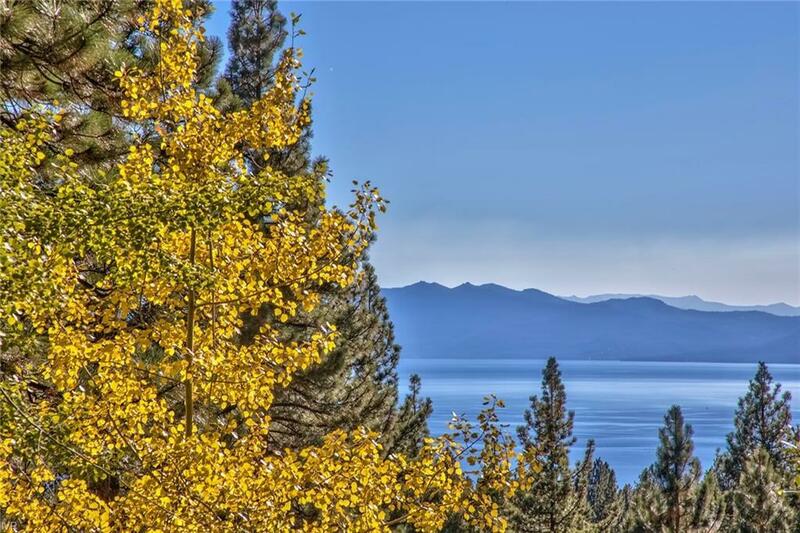 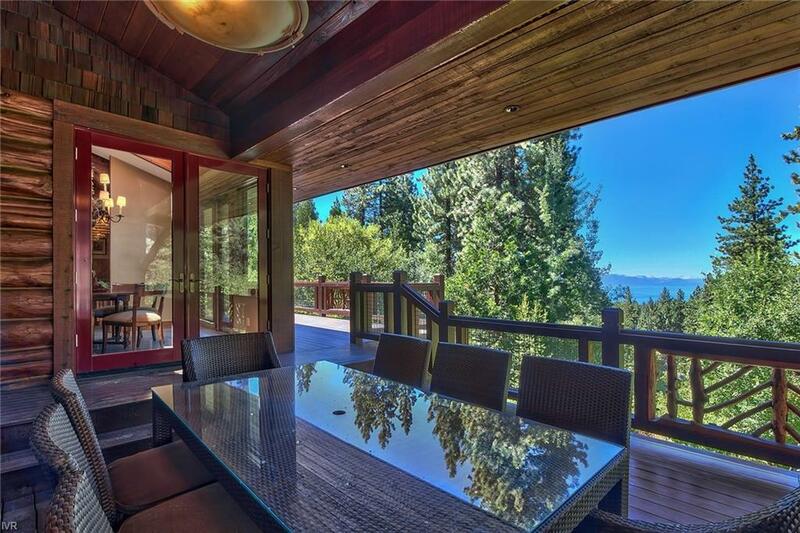 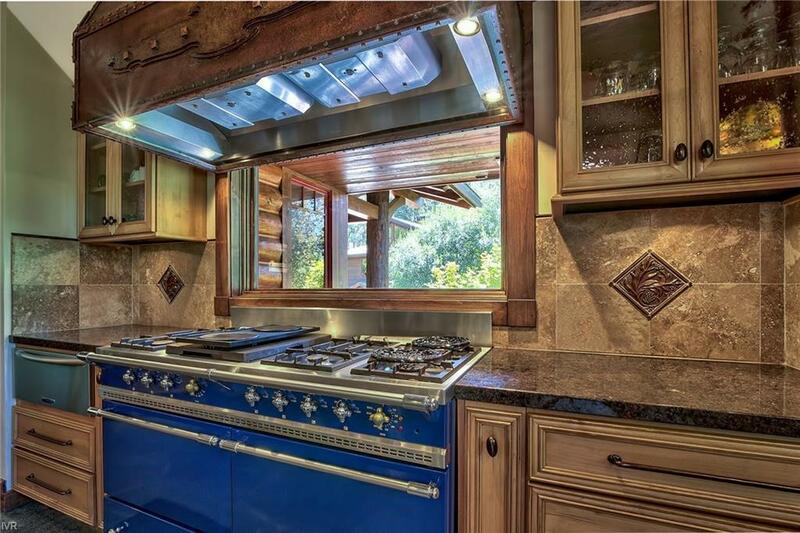 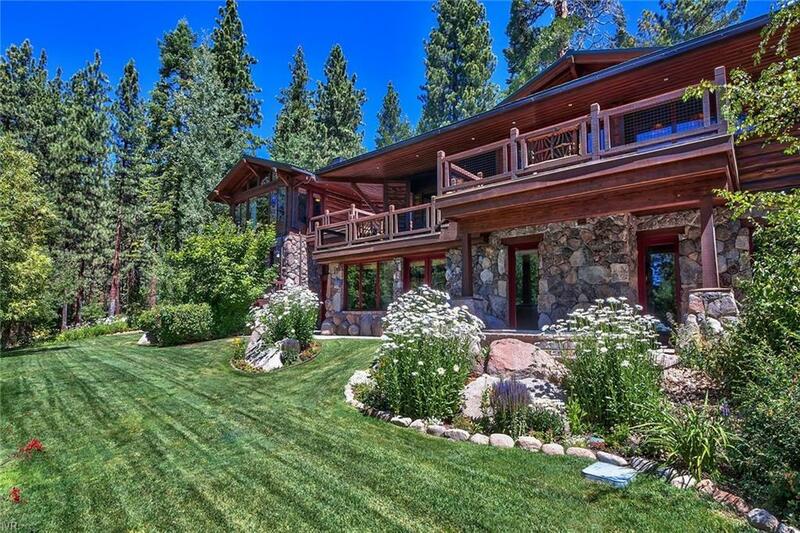 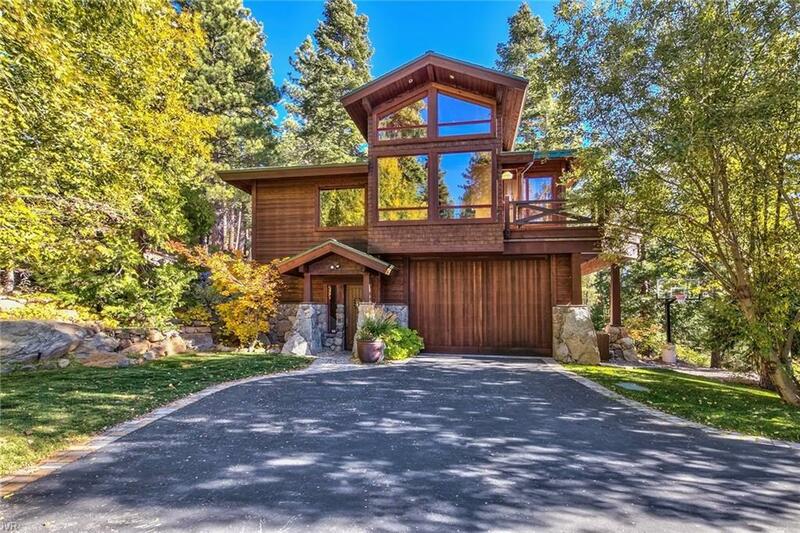 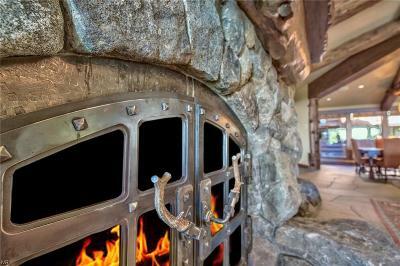 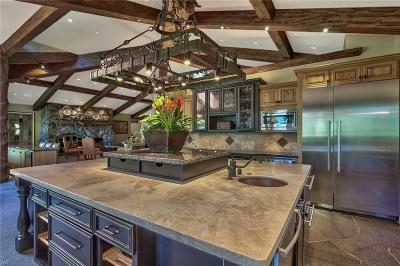 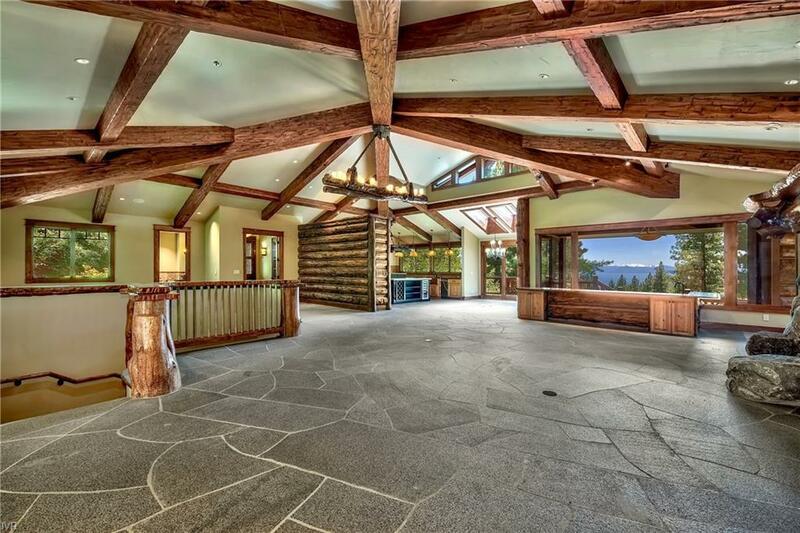 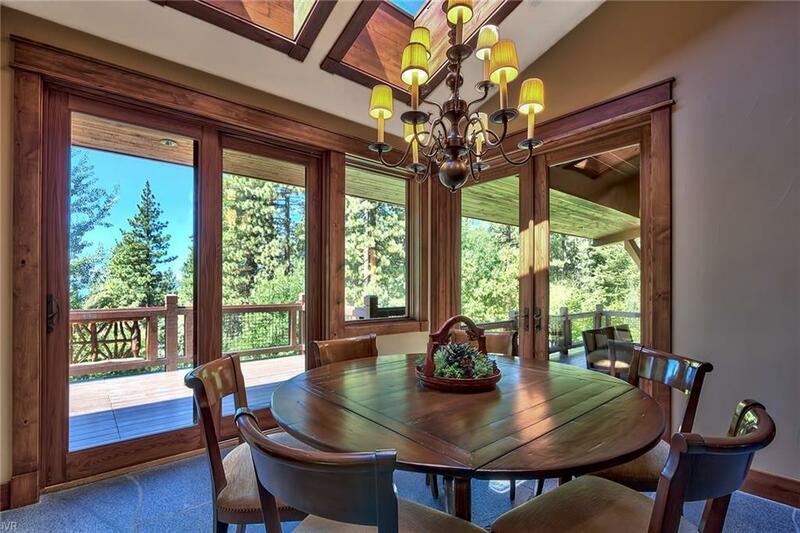 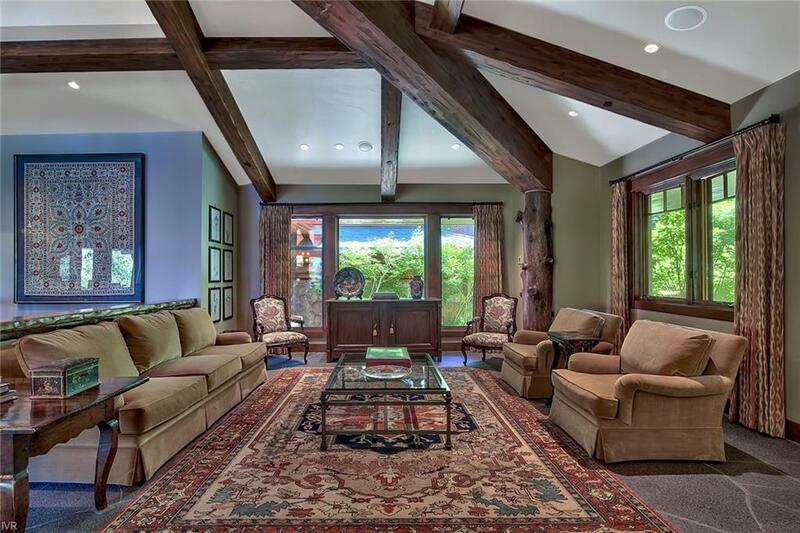 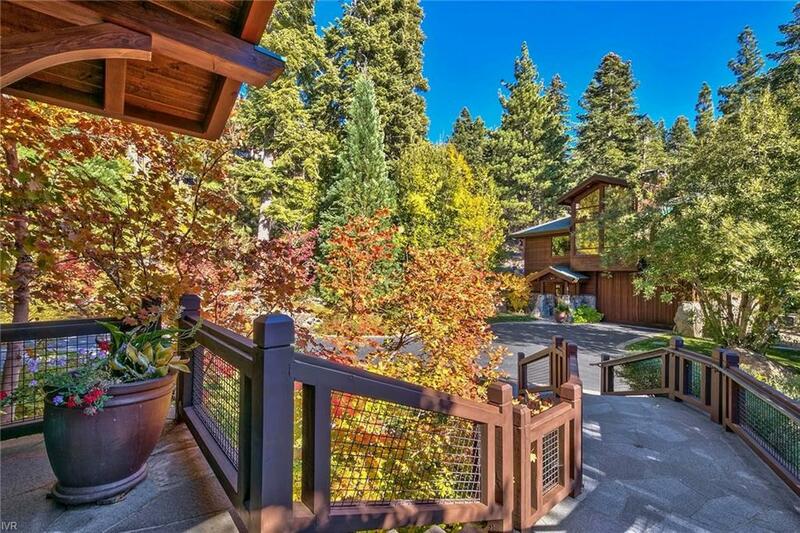 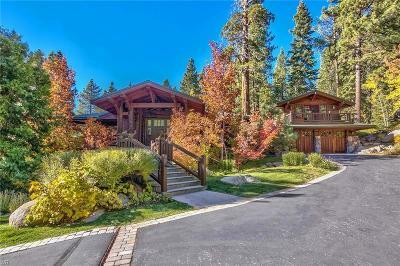 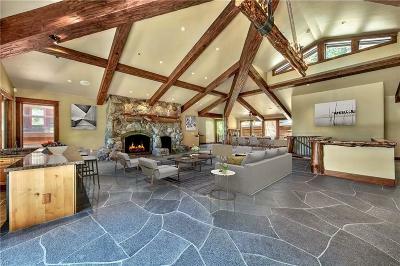 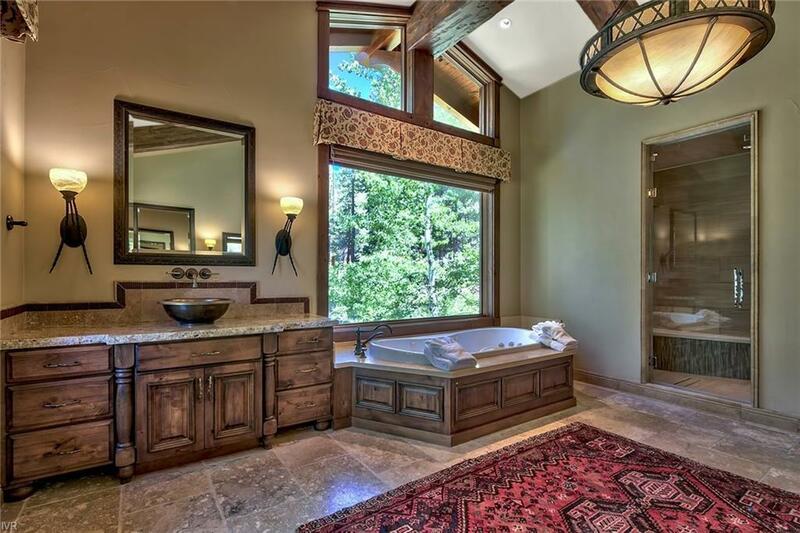 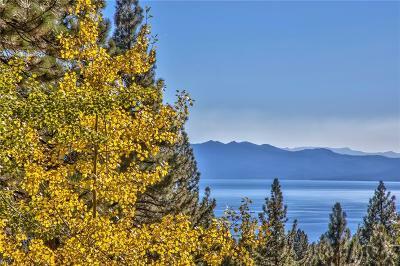 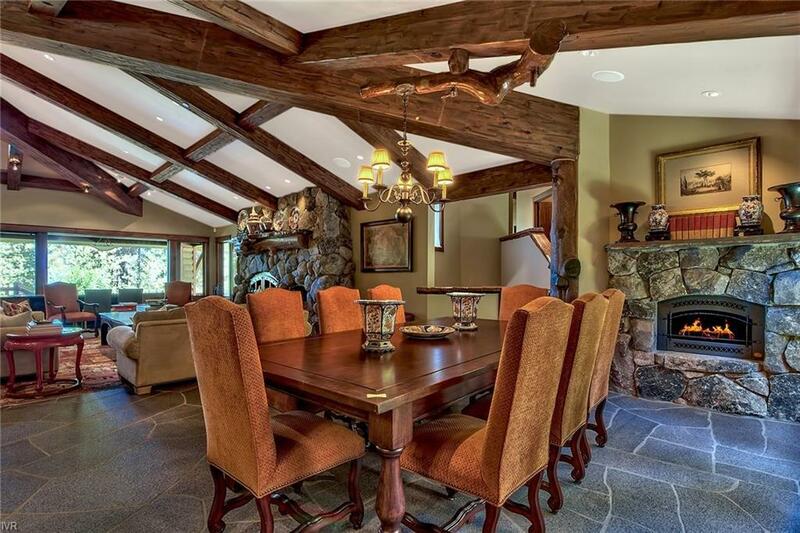 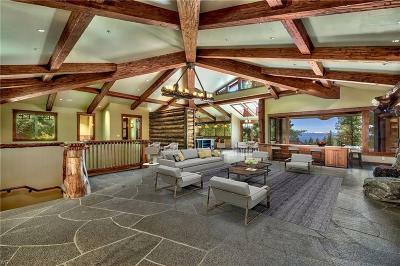 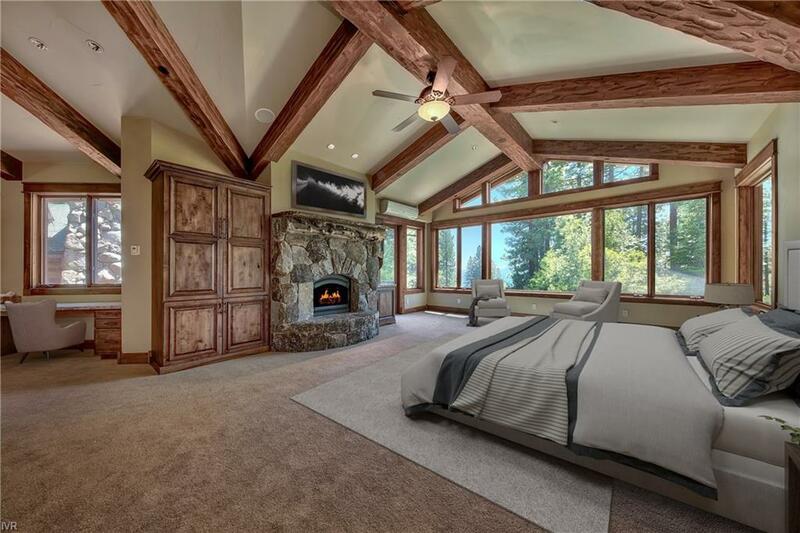 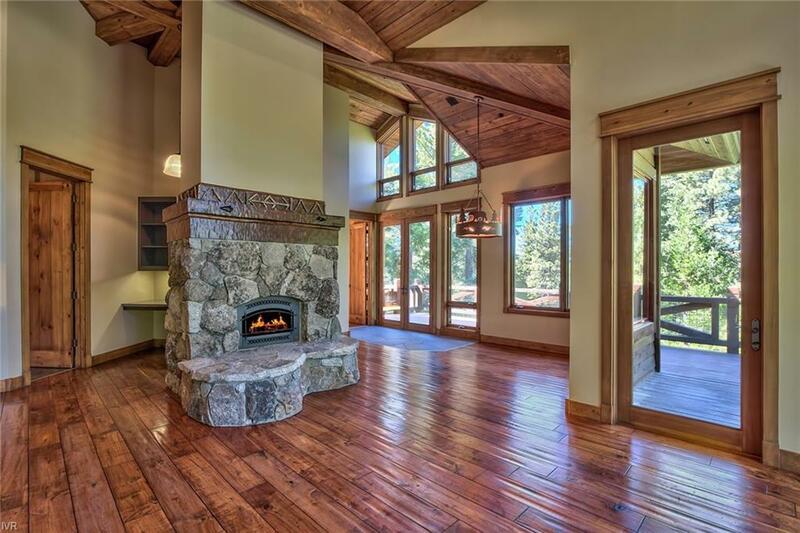 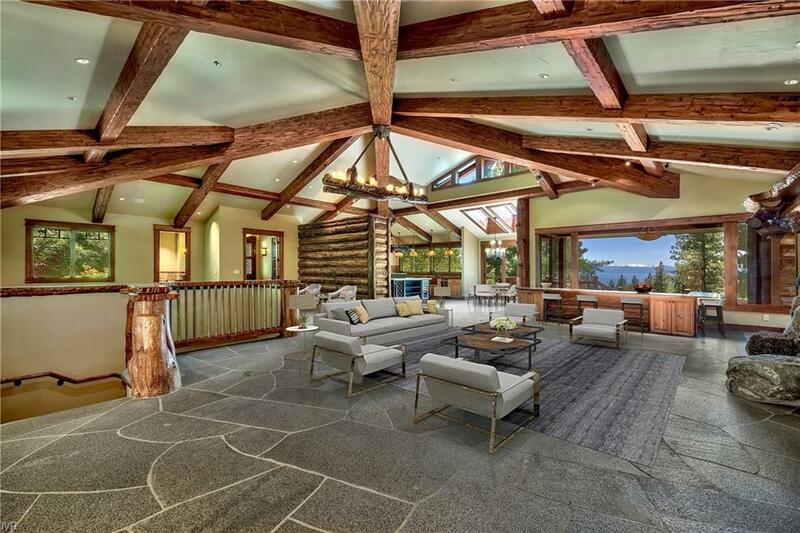 This uniquely secluded gated Tahoe lodge estate sits on 7.75 acres of lush splendor that borders over 8 additional acres of forestry property. 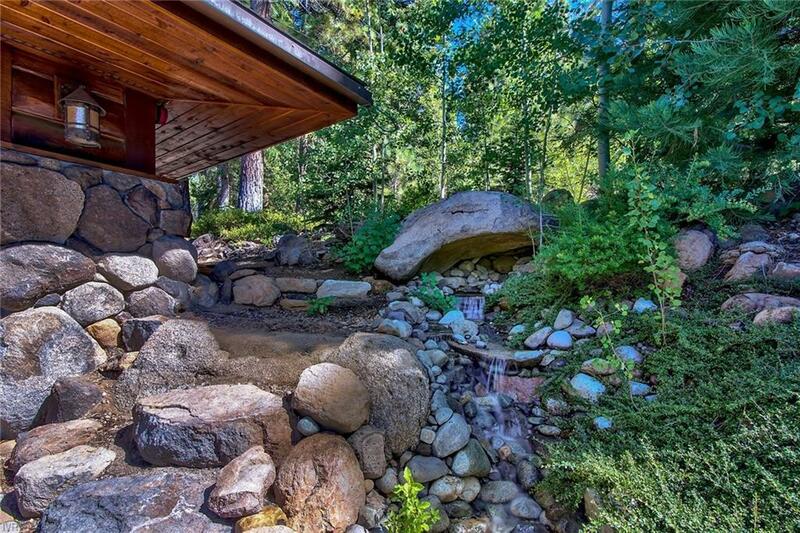 A re-circulating waterfall and stream welcome all who arrive at this Tahoe paradise. 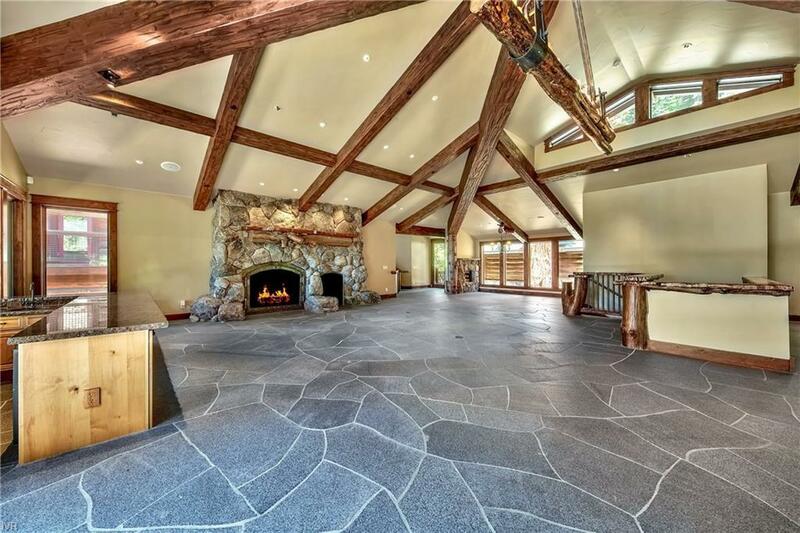 Built in 2001, this great room style lake view lodge greets all who enter with a majestic wood-burning fireplace and hand-hewn beams. 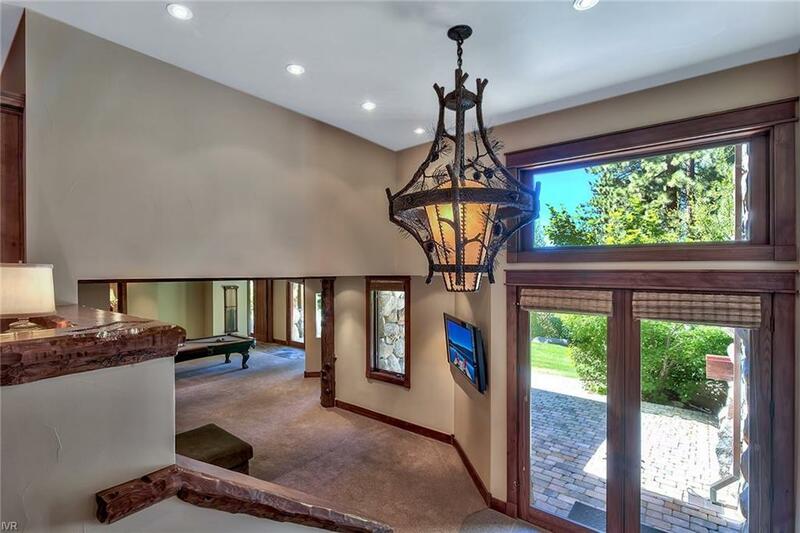 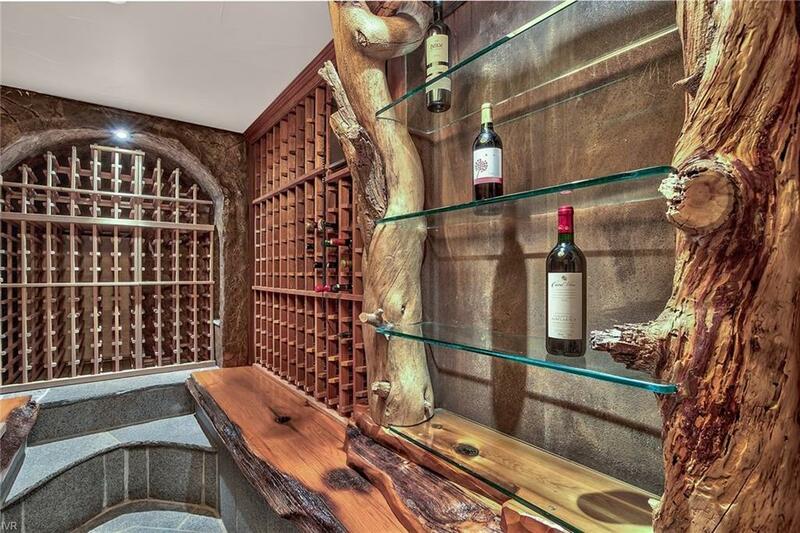 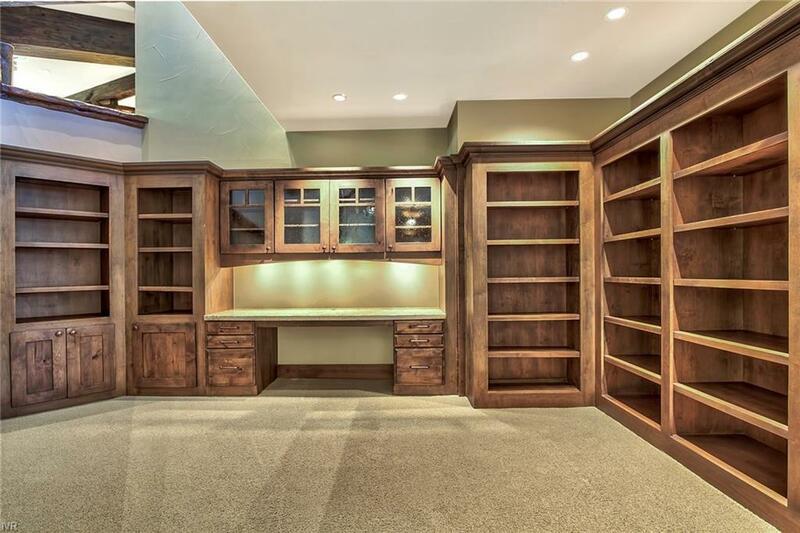 This magnificent home features eight en-suite bedrooms with walk-in closets, French inspired kitchen, game room, theatre with a wet bar, wine room, butler's pantry, mud room and laundry room. 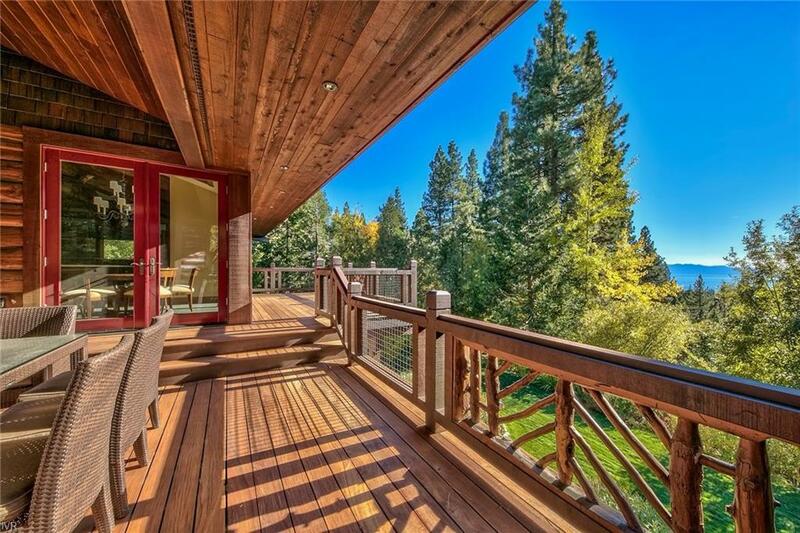 All bedrooms have their own access to outside decks or patios. 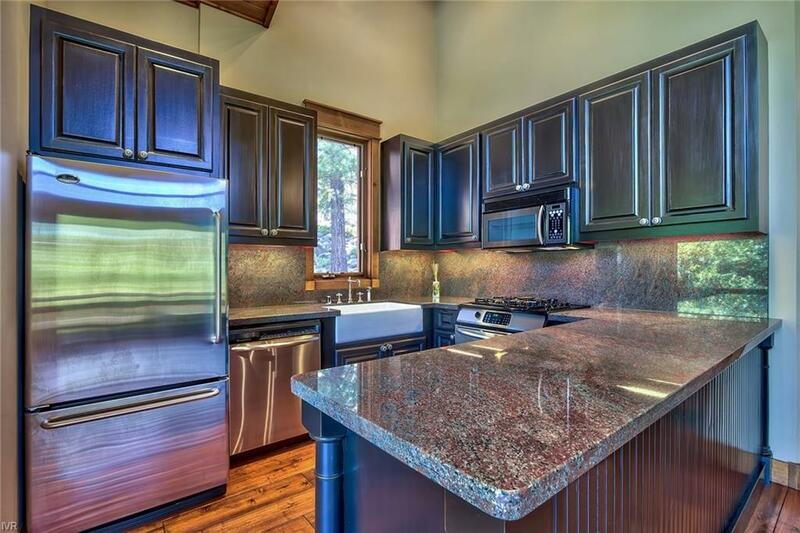 The carriage/guest house has a full kitchen, bathroom, living area, fireplace, and bedroom. 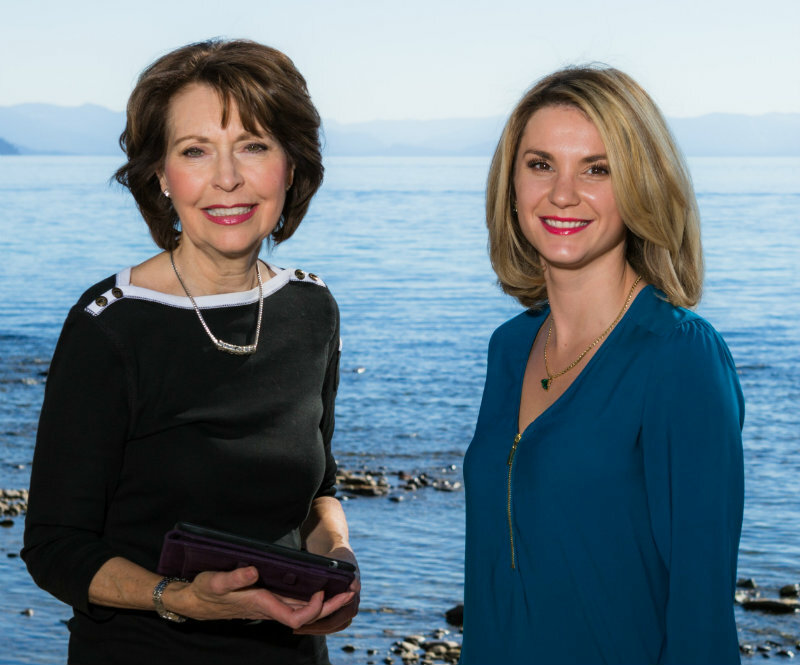 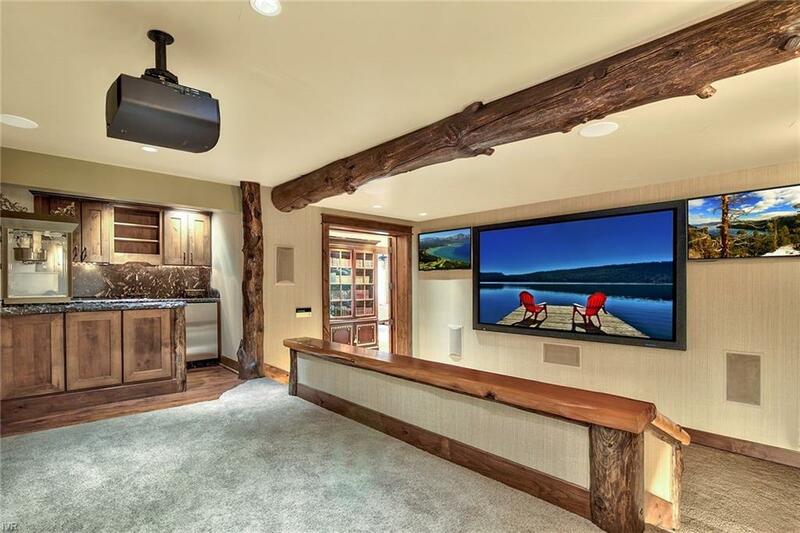 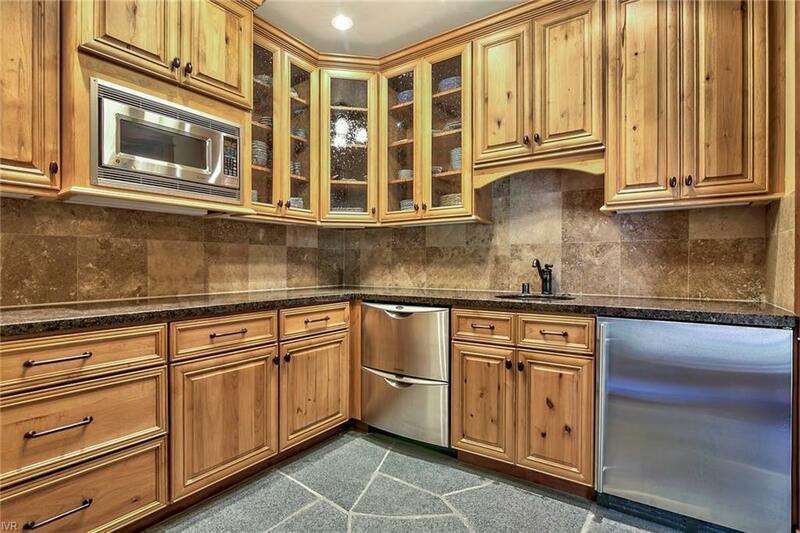 The main home has an attached 3+ car garage and the guest house RV garage has room for several vehicles or toys for your Tahoe outdoor adventures. 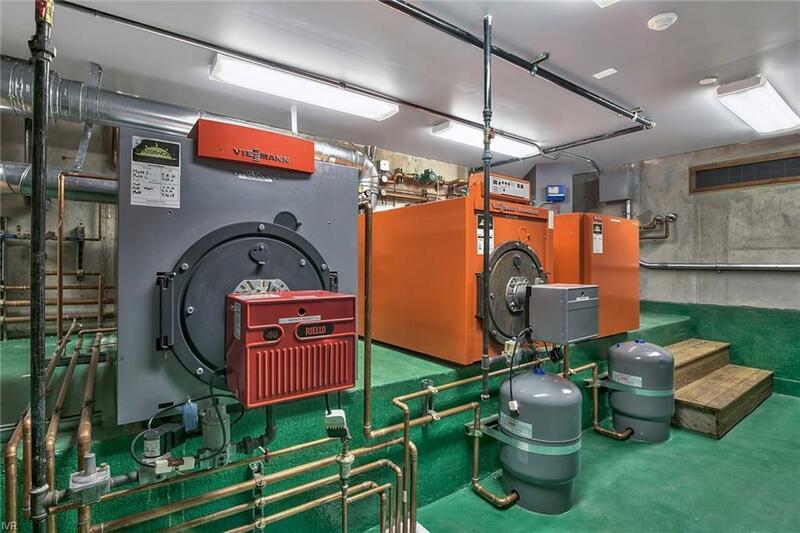 This setting provides privacy/security with a backup generator & a fire sprinkler system. 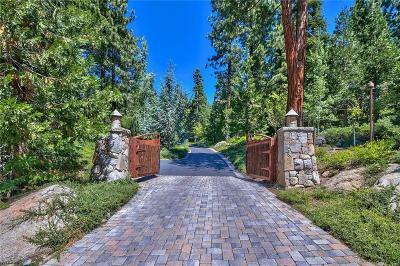 This also has over 36,000' of additional coverage!